Luzon (/luːˈzɒn/ ( listen), Tagalog: [luˈson]) is the largest and most populous island in the Philippines. It is ranked 15th largest in the world by land area. Located in the northern region of the archipelago, it is the economic and political center of the nation, being home to the country's capital city, Manila, as well as Quezon City, the country's most populous city. With a population of 53 million as of 2015[update],, it is the fourth most populous island in the world containing 52.5% of the country's total population. The island is covered by 8 administrative regions, 30 provinces and, as of 2014[update], 68 cities (8 regions, 38 provinces and 71 cities if associated islands are included). One of the regions, Mimaropa, is geographically part of the Visayas according to the non-centric view. This is contested by imperial Manila through the Manila-centric view. 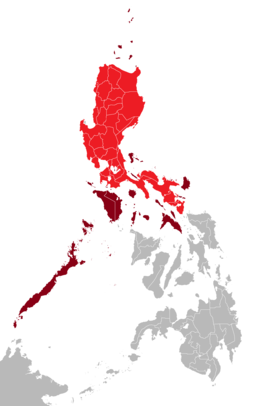 Majority of scholars in the Philippines consider Mimaropa as part of the Visayas, in line with the non-centric view. Metro Manila is the most populous of the 3 defined metropolitan areas in the Philippines and the 11th most populous in the world. as of 2007[update], census data showed it had a population of 11,553,427, comprising 13% of the national population. Including suburbs in the adjacent provinces (Bulacan, Cavite, Laguna, and Rizal) of Greater Manila, the population is around 21 million. ^ Pires, Tomé (1944). Armando Cortesao (translator), ed. 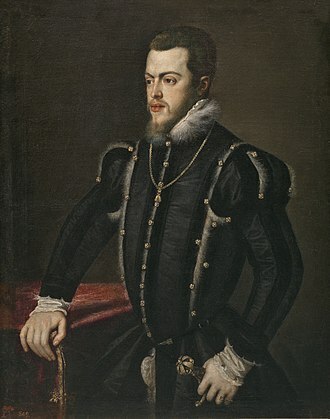 A suma oriental de Tomé Pires e o livro de Francisco Rodriguez: Leitura e notas de Armando Cortesão [1512–1515] (in Portuguese). Cambridge: Hakluyt Society. Encyclopædia Britannica, Volume 9. Volume 9 of EncyclopÆdia Britannica: A New Survey of Universal Knowledge. Contributor: Walter Yust. EncyclopÆdia Britannica. 1954. Retrieved 24 April 2014. The Philippines: A Handbook of Information. Contributor: Philippine Information Agency. Philippine Information Agency. 1955. Retrieved 24 April 2014. University of Manila Journal of East Asiatic Studies, Volume 7. Contributors: Manila (Philippines) University, University of Manila (revised ed.). University of Manila. 1959. Retrieved 24 April 2014. Unitas, Volume 30, Issues 1-2. Contributor: University of Santo Tomás. University of Santo Tomás. 1957. Retrieved 24 April 2014. The Researcher, Volume 2, Issue 2. Contributors: University of Pangasinan, Dagupan Colleges. Dagupan Colleges. 1970. Retrieved 24 April 2014. Philippine Social Sciences and Humanities Review, Volumes 24-25. Contributor: University of the Philippines. College of Liberal Arts. 1959. Retrieved 24 April 2014. Philippine Social Sciences and Humanities Reviews, Volume 24, Issues 1-2. Contributors: Philippine Academy of Social Sciences, Manila, University of the Philippines. College of Liberal Arts. College of Liberal Arts, University of the Philippines. 1959. Retrieved 24 April 2014. Studies in Public Administration, Issue 4. Contributor: University of the Philippines. Institute of Public Administration. Institute of Public Administration, University of the Philippines. 1957. Retrieved 24 April 2014. CALABARZON, formally known as Southern Tagalog Mainland and designated as Region IV-A, is an administrative region in the Philippines. The region comprises five provinces, Laguna, Batangas and its regional center is Calamba City in Laguna. Prior to its creation as a region, together with Mimaropa, formed the region known as Southern Tagalog. The region is home to some of the most important Philippine historical figures, most notable of which is the Philippines national hero, Jose Rizal, who was born in Calamba. On June 5,1901, a convention was called on whether or not the province of Manila should annex the province of Morong, the new province comprised 29 municipalities,17 from Manila and 12 from Morong. In 1902, Macario Sakay, a veteran Katipunan member, established the Tagalog Republic in the mountains of Rizal. Ultimately, Sakays Tagalog Republic ended in 1906 when he and his men were betrayed under the guise of holding an assembly aimed at the self-determination of the Filipino people. On September 7,1946, the Third Philippine Republic enacted Republic Act No,14, which renamed the province of Tayabas to Quezon, in honor of Manuel Quezon. Quezon was the second President of the Philippines and a native of Baler, in 1951, the northern part of Quezon became the sub-province Aurora, named after Quezons wife. On September 24,1972, President Ferdinand Marcos enacted Presidential Decree No,1, which organized the provinces into 11 regions as part of Marcos Integrated Reorganization Plan. The IRP created Region IV, known as the Southern Tagalog region, at this time, Region IV consisted of Batangas, Laguna, Oriental Mindoro, Occidental Mindoro, Rizal and Palawan. In 1979, Aurora formally became an independent of Quezon and was included in Region IV. 103, dated May 17,2002, made changes to the Southern Tagalog region. Due to its size, Region IV was split into two regions, Region IV-A and Region IV-B. Aurora was transferred to Region III, Central Luzon,246, dated October 28,2003, President Gloria Arroyo declared Calamba as the regional center of the region. Calabarzon comprises five provinces,1 highly urbanized city,18 component cities and 4,011 barangays. Marinduque is an island province in the Philippines located in Mimaropa region. 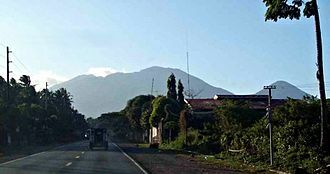 Its capital is the municipality of Boac, Marinduque lies between Tayabas Bay to the north and Sibuyan Sea to the south. It is west of the Bondoc Peninsula of Quezon province, east of Mindoro Island, for almost 200 years, the province is home to one of the oldest religious festivals of the country, the Moriones Festival celebrated annually every Holy Week. Legend has it that the island of Marinduque was formed as a consequence of a love affair between two people and Gatduke. Mariins father, a chieftain, did not approve of this affair. Before this could be done, the couple sailed out to sea and drowned themselves, during the Philippine-American War, Marinduque was the first island to have American concentration camps. Marinduque is the site of the Battle of Pulang Lupa, where 250 Filipino soldiers under Colonel Maximo Abad and it is one of the few battles during the pacification of the Philippines where the tenacity and bravery of the Filipinos prevailed over the well armed Americans. In 1902, the US-Philippine Commission annexed the islands of Mindoro, four months later, the province became part of the province of Tayabas. On February 21,1920, Act 2280 was passed by the Philippine Congress, in 1942, the Japanese Imperial forces landed in Marinduque. In 1945, combined American and Philippine Commonwealth troops attacked from the Japanese Troops liberated to the Battle of Marinduque in the Second World War. The general headquarters of the Philippine Commonwealth Army was active in 1935 to 1942 and 1945 to 1946, archaeology in the Philippines began in Marinduque. 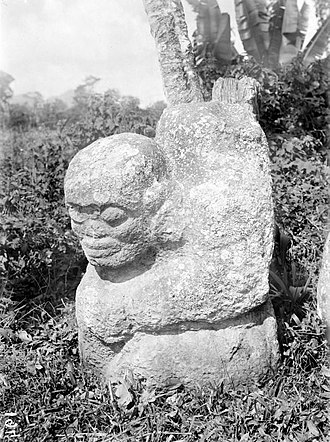 Prior to 1900, only one important archaeological investigation had been carried out in the country, after Marche, the next important archaeological work was undertaken by Dr. Carl Gunthe in the Visayas Island Group in 1922. An abundant yield of Chinese urns, gold ornaments, skulls and he brought back to France the Marinduque artifacts he uncovered in 40 crates. 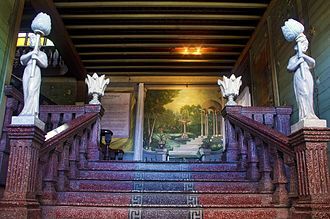 Part of it now is said to be housed at the Musée de lHomme in France, the finds included a wooden image of the Marinduque anito called Pastores by the natives. Tablas is the largest of the islands that comprise the province of Romblon in the Philippines. The name of the island was of Spanish origin, before the colonization of the Philippines, Tablas was known as the Island of Osigan. At the time of contact with Westerners, Osigan had a population of two hundred and fifty people living in small villages, wax was produced in this island. Odiongan, on the west central coast of the island, is a major port, Tablas is administratively subdivided into the municipalities of Alcantara, Ferrol, Odiongan, San Agustin, San Andres, Santa Fe, and Santa Maria. The island lies about 50 kilometres east from the part of Mindoro Island. The northern tip of Tablas is about 12 kilometres from Romblon Island, mount Payaopao at the northeastern extremity of the island, is the highest peak on the island at 2,182 feet high and the second highest in the province. A wooded central range of hills traverses the length of Tablas, the west coast is formed by the western slope of the central mountain ridge, which is narrow and well defined. The summits in the middle of the island are 1,600 to 2,000 feet high, in the center of the island is Bitaogan Peak,2,164 feet high, which appears as a rounded knob from east and west and sharp from north and south. The shore line is largely mangrove, with beaches of coral sand. The shore reef is continuous except off Guinauayan Point, there is no good natural harbor except Looc Bay, a large indentation on the west side, but sheltered anchorage may be found on either side of the island, according to the season of the year. Cabalian Point, the extremity of Tablas Island, is low and sandy and hard to distinguish at night. Romblon State University is an institution for higher education in the MIMAROPA Region. The University has a campus in Odiongan town and a few more around Romblon province. Main occupations are fruit and vegetable farming, farm animal breeding and fishing, Tablas is one of largest producers of pili nuts. Tablas was established a zone, Tablas Economic Zone Inc. Tagalog is spoken by the locals as the second language, foreigners are a welcome diversion for college students, who are the main part of the population who can speak English. These 5 provinces, plus Metro Manila and Pampanga, sum to 30.7 million residents as of the newly counted census of 2015. The region is the center of culture, education, NCR is one of the 12 defined metropolitan areas in the Philippines according to the National Economic and Development Authority. Designated as a global city, NCR exerts a significant impact on commerce, media, fashion, technology, education. It is the home to all the consulates and embassies in the Philippines and its economic power makes the region the countrys premier center for finance and commerce. NCR accounts for 37. 2% of the domestic product of the Philippines. The Province of Manila, the progenitor to the present-day Metro Manila, is one of the eight provinces that revolted against the Spanish colonial rule in the Philippines. The province was honored as one of the sun rays in the Flag of the Philippines, a historical province known as Manila encompasses the former pre-Hispanic kingdoms of Tondo and Maynila. It became the capital of the colonial Philippines, with Manila serving as the center of colonial power, in 1898, it included the City of Manila and 23 other municipalities. 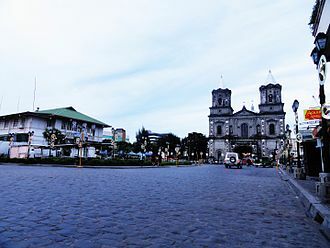 Mariquina served as the capital from 1898-1899, just as when the sovereignty of the Philippines was transferred to the United States, the province was dissolved and most of it was incorporated to the newly created province of Rizal in 1901. Since the Spanish colonial period, Manila was considered as one of the global cities. Pasig serves as its provincial capital, in 1939, President Quezon established Quezon City with a goal to replace Manila as the capital city of the country. A masterplan for Quezon City was completed, the establishment of Quezon City meant demise of the grand Burnham Plan of Manila, with funds being diverted for the establishment of the new capital. World War II further resulted in the loss most of the developments in the Burnham Plan, but more importantly, on, Quezon City eventually declared as the national capital from 1948-1976. The tile was re-designated back to Manila through Presidential Decree No.940 owing to its significance as the seat of government of the Philippines since the Spanish colonial period. Apayao is a landlocked province in the Philippines in the Cordillera Administrative Region in Luzon. The province borders Cagayan to the north and east and Ilocos Norte to the west, prior to 1995, Kalinga and Apayao comprised a single province named Kalinga-Apayao, which was partitioned to better service the needs of individual ethnic groups. With a population of 119,184 covering an area of 4,413.35 square kilometres, as early as 1610, the Dominican friars established a mission in what is now the town of Pudtol. In 1684, the friars again made attempts to convert the people, the Spanish authorities were able to establish in Cagayan the comandancias of Apayao and Cabugaoan in 1891, which covered the western and eastern portions of what is now Apayao. The comandancias, failed to bring control and the Spanish government only maintained a loose hold over the area. The Americans established the Mountain Province on August 13,1908, along with Amburayan, Bontoc, Ifugao and Lepanto, became sub-provinces of this new province. In 1942, Japanese Imperial forces entered Apayao, starting a three-year occupation of the province during the Second World War, on June 18,1966, the huge Mountain Province was split into four provinces with the enactment of Republic Act No.4695. The four provinces were Benguet, Kalinga-Apayao and Ifugao, Kalinga-Apayao, along with Ifugao, became one of the provinces of the Cagayan Valley region in 1972. On July 15,1987, the Cordillera Administrative Region was established, finally, on February 14,1995, Kalinga-Apayao was split into two independent provinces with the passage of Republic Act No.7878. Apayao is basically situated within the Cordillera Central mountains, traversed by many rivers and valleys are used for farming. Apayao is basically composed of farmlands, the prevailing climate in the province falls under Coronas Type III Classification. It is characterized by dry and wet seasons, from November to April. Heaviest rain occurs during December to February while the month of May is the warmest, Apayao comprises 7 municipalities, all encompassed by a lone legislative district. Sibuyan is a crescent-shaped island, the second largest in an archipelago comprising Romblon Province, Philippines. Located in the namesake Sibuyan Sea, it has an area of 445 square kilometres, the island has two prominent peaks, Mount Guiting-Guiting with a height of 2,058 metres and Mount Nailog with a height of 789 metres. The people speak the Sibuyanon dialect of Romblomanon, a Visayan language, Sibuyan has been dubbed by some local and international natural scientists as the Galápagos of Asia, because it has remained in isolation from the rest of the world since its formation. Never in its history has it ever been connected with any part of the Philippine archipelago. Seismic forces pushed up a 2,000 metres peak from the earth’s crust, forming a series of smaller peaks, because of the steep slopes, much of its original forest remains untouched, and the rest is the island as we find it today. Primary forests cover 140 square kilometres, which is 33% of the area of Sibuyan. However, most of the lower altitude forest has been logged or is secondary, the park features a scenic landscape with twin towering peaks set amidst closed canopy forests. On June 21,2008, the passenger ferry MV Princess of the Stars of Sulpicio Lines capsized off the coast of the island, the vessel was sailing through the Sibuyan Strait from Manila en route to Cebu City in the height of Typhoon Frank. That accident have caused the death of hundreds of people, the island is shared by three municipalities, Cajidiocan and San Fernando. Sibuyan has a biodiversity of flora and fauna which are threatened by an emerging aggressive promotion of mining industry by the countrys government. Exact figures on numbers of plant species are hard to give. In one study, the National Museum identified 1,551 trees in a hectare, with 123 species of trees. Hence, it has been proclaimed as one of the world’s most diverse and dense forests, there are estimated to be 700 vascular plant species on the island. Nepenthes sibuyanensis, a plant species, is endemic as its scientific name suggests. There are 131 species of birds and ten species of bats, and many dwelling mammals, reptiles. Five species of threatened mammals, one bat and four rodents, are endemic to Sibuyan. La Union, is a province in the Philippines located in the Ilocos Region in the island of Luzon. Its capital is the city of San Fernando, which serves as the regional center of the whole Ilocos Region. The province is bordered by Ilocos Sur to the north, Benguet to the east, Pangasinan to the south, pangasinenses were the majority in the new province because most towns had been in the province of Pangasinan. On October 29,1849, Governor General Claveria issued a promovido to fuse the Pangasinan-Ilocos-Cordillera areas into La Union. On March 2,1850, Governor General Antonio Maria Blanco signed the Superior Decreto of La Union, isabella II of Spain decreed the provinces creation on April 18,1854. In 1661, Andres Malong failed to recover La Union from the Spaniards after the Battle of Agoo. In 1896, the people of La Union began a revolt against the Spaniards, the Americans collaborated with the Filipinos to end the Spanish. Dr. Lucino Almeida became the Presidente Provincial of the American regime, followed by the election of La Union’s first Civil Governor in 1901, on January 4,1945, La Union was liberated by the Battle of San Fernando and Bacsil Ridge. La Union covers a area of 1,497.70 square kilometres occupying the central‑southern section of the Ilocos Region in Luzon. The province is bordered by Ilocos Sur to the north, Benguet to the east, Pangasinan to the south, La Union is 273 kilometres north of Metro Manila and 57 kilometres northwest of Baguio City. The land area of the province is 149,770 hectares, like most of the Ilocos Region, the province is squeezed in by the Cordillera mountain range to the east and the South China Sea to the west. La Union comprises 19 municipalities and 1 component city, all of which are organized into two legislative districts, La Union has a total of 576 barangays comprising its 19 municipalities and 1 city. The most populous barangay in the province is Sevilla in the City of San Fernando with a population of 10,612 in the 2010 census, if cities are excluded, Central East in the municipality of Bauang has the highest number of inhabitants, at 4,249. Caggao in Bangar has the lowest with only 170, the population of La Union in the 2015 census was 786,653 people, with a density of 530 inhabitants per square kilometre or 1,400 inhabitants per square mile. The Philippine Sea is a marginal sea east and northeast of the Philippines occupying an estimated surface area of 5 million km². of the western part of the North Pacific Ocean. The sea has a complex and diverse undersea relief, the floor is formed into a structural basin by a series of geologic faults and fracture zones. Island arcs, which are actually extended ridges protruding above the surface due to plate tectonic activity in the area, enclose the Philippine Sea to the north, east. The Philippine archipelago, Ryukyu Islands, and the Marianas are examples, another prominent feature of the Philippine Sea is the presence of deep sea trenches, among them the Philippine Trench and the Mariana Trench, containing the deepest point on the planet. The Philippine Sea is by the Philippines and Taiwan to the west, Japan to the north, the International Hydrographic Organization defines the Philippine Sea as that area of the North Pacific Ocean off the Eastern coasts of the Philippine Islands, bounded as follows, On the West. By the Eastern limits of the East Indian Archipelago, South China Sea, by the Southeast coast of Kyushu, the Southern and Eastern limits of the Inland Sea and the South coast of Honshu Island. By the ridge joining Japan to the Bonin and Ladrone Islands, by a line joining Guam, Yap and Halmahera Islands. The Philippine Sea Plate forms the floor of the Philippine Sea and it subducts under the Philippine Mobile Belt which carries most of the Philippine archipelago and eastern Taiwan. Between the two plates is the Philippine Trench, the Philippine Sea hosts an exotic marine ecosystem. About five hundred species of hard and soft corals occur in the waters and 20 per cent of the worldwide known shellfish species are found in Philippine waters. Sea turtles, moray eels and sea snakes along with species of fish such as tuna can commonly be observed. Additionally, the Philippine Sea serves as spawning ground for Japanese eel, tuna, it was discovered by other Spanish explorers from 1522 to 1565 and the site of the famous galleon trade route. The Southwestern Tagalog Region, designated as MIMAROPA Region, is an administrative region in the Philippines. It was designated as Region IV-B until 2016. It is one of five regions in the country having no border with another region. The name is a combination of its constituent provinces, Marinduque, Romblon. The region was part of the now-defunct Southern Tagalog region until 17 May 2002, on 23 May 2005, Palawan and the highly urbanized city of Puerto Princesa were moved to the region of Western Visayas by Executive Order No.429. However, on 19 August 2005, then-President Arroyo issued Administrative Order No.129 to put in abeyance Executive Order No.429 pending a review, most regional government offices such as the Department of Public Works and Highways are in Quezon City, Metro Manila. MIMAROPA Region, together with CALABARZON, were created with the partitioning of Region IV into the two regions on 17 May 2002 with the issuance of Executive Order No. Region IV-B was designated as MIMAROPA, which stands for the island belonging to the Southern Tagalog region—Mindoro, Romblon. Region IV-A was designated as CALABARZON, on 23 May 2005, Executive Order 429 was issued, moving the province of Palawan to the region of Western Visayas, designating Region IV-B as MIMARO. However, Palawan residents criticized the move, citing a lack of consultation, with most residents in Puerto Princesa, Administrative Order No.129 was issued on 19 August 2005 to address this backlash. This order directed the abeyance of Executive Order 429 pending the approval of a plan for the orderly transfer of Palawan from Mimaropa to Region VI. The 2010 Philippine Census of Population reported the name as MIMAROPA. As of 2014, it is not clear whether the transfer of Palawan to Western Visayas is still considered pending by the Philippine government, as of 2014, the National Statistical Coordinating Board of the Philippines continued to list Palawan province as part of the Mimaropa region. On 17 July 2016, Republic Act No.10879 formally established the Southwestern Tagalog Region to be known as the MIMAROPA Region and this involved no boundary changes but was in effect merely a renaming and discontinuation of the Region IV-B designation. Japanese Carrier Division Three under attack by United States Navy aircraft from Task Force 58, late afternoon, June 20, 1944. The heavy cruiser circling at right, nearest to the camera, is either Maya or Chōkai. Beyond that, is the small aircraft carrier Chiyoda.